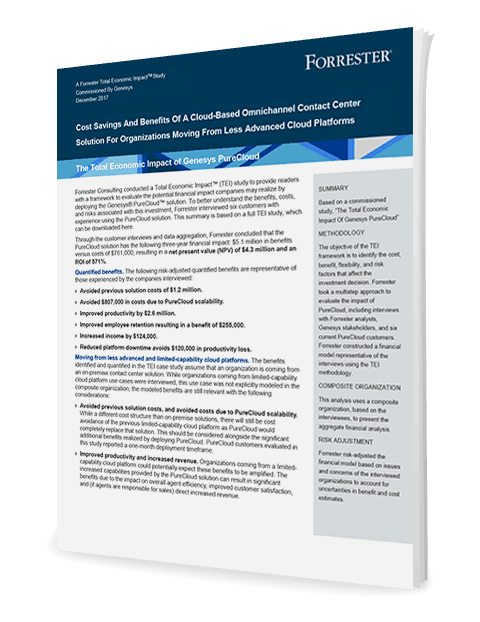 You don’t have to struggle with a limited-capability cloud platform. Modern cloud-based contact center platforms are nimble and adjustable, so you can leave the struggle behind and upgrade to a platform that’s made to grow and change with your business. Don’t stay stuck in the past—learn how updating your limited-capability cloud platform can take your business to the next level. Download the spotlight.